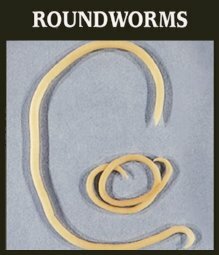 One of the most common health problems our pet has is worms. Worms can make your furry pal sick for a many different reasons, depending on the type of worms. You need to understand the problem of worms and start deworming your pet on a regular basis with an effective wormer. Protect your pet and keep him in good health by learning about the five most common worms of your furry companion including symptoms and treatment options. 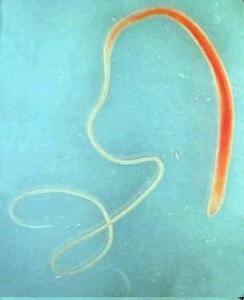 This is the number one most common type of worm and they live in the stomach and intestines of the animal. Pets can get roundworm from their mother after birth through their mothers’ milk. Dog and cat can easily ingest the worm by eating something contaminated. 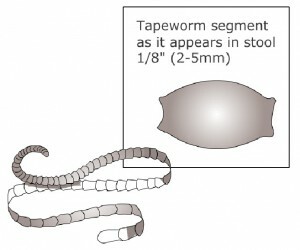 This worm attaches itself to the wall of the small intestine. They are most commonly spread through fleas. It can cause grave damage to a pets’ body, if left untreated. These small thin worms use their hook like mouth to latch onto the pets small intestine that survive by leeching blood from your pet’s body. 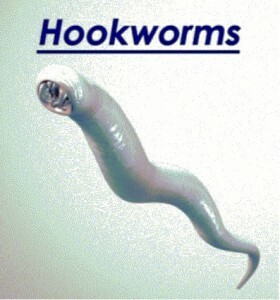 Hookworms can be dangerous, if not treated. Just like a tapeworm this worm attaches itself to the wall of the small and large intestines. They are extremely dangerous and bring numerous debilitating side-effects. These worms travel through the bloodstream into the heart and lungs and can cause serious discomfort and make the pet very unhealthy. In extreme conditions, it can be fatal. It is essential that you deworm your dog and cat, as this protects your pet and your family. It is a good idea to start the worming routine from the beginning, as the puppies and kittens are more prone to these parasites. They can come in contact with these parasites from their mother. Another good idea is to treat the pregnant pet, as this can reduce the chances of transmitting the worms to her younger one. 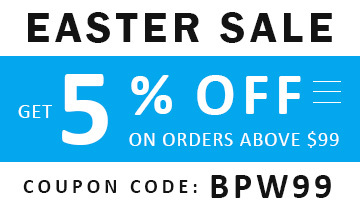 Now a days, there are many worming treatments available in the market. 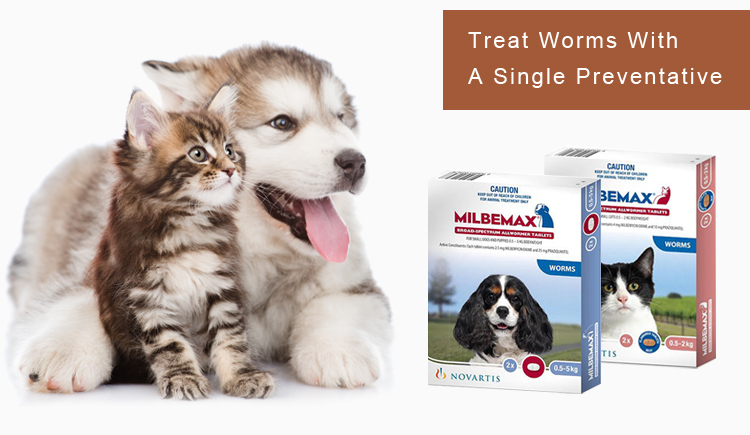 One of the efficacious and cost-effective products is Milbemax Allwormer tablets for dogs and cats. This veterinary product is a perfect treatment for all types of intestinal worms including roundworms, hookworms, tapeworms, whipworms as well as heartworm. Make sure before you purchase the product read the instructions on the box carefully.